Finishing work on the exterior of the temple continuous at full pace with marbling of the walls and Jaipur sandstone windows. 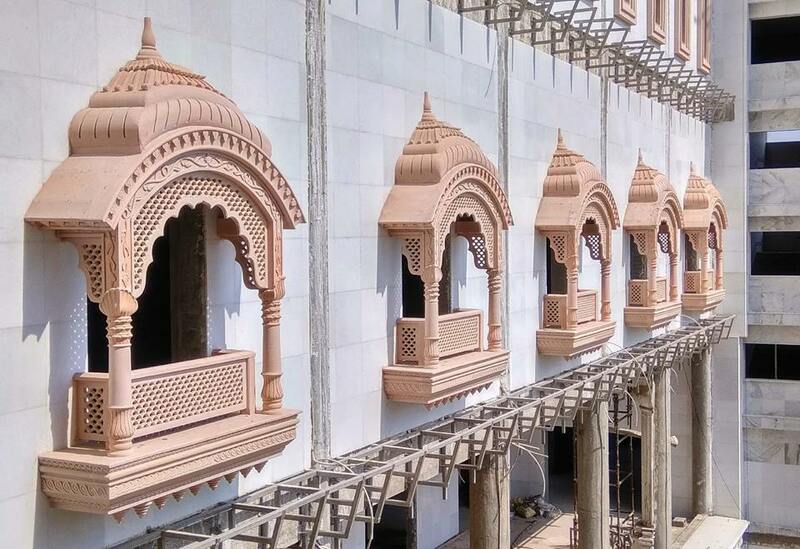 Detailed decorative design work has also commenced in the Chatri Tower Wings. The waterproofing of the Utility Room is also almost complete, as are the Nrsimhadeva and Planetarium wings.